We all love our cars, but sometimes…sometimes we just hate them. We all know that familiar feeling of trying to start our car on monday morning, only to realize that the headlights were left on overnight. Or that feeling of dread that comes when you hit a piece of debris on the road and end up with a flat tire. The regular response–and an often expensive one at that–is to call roadside assistance; but sometimes this isn’t possible, and the only solution is to fix the problem yourself. When you are stuck in an emergency situation, you will probably be surprised at how easy it is to carry out the maintenance yourself. And even when it isn’t an emergency, something such as changing your oil yourself can really save you some cash. 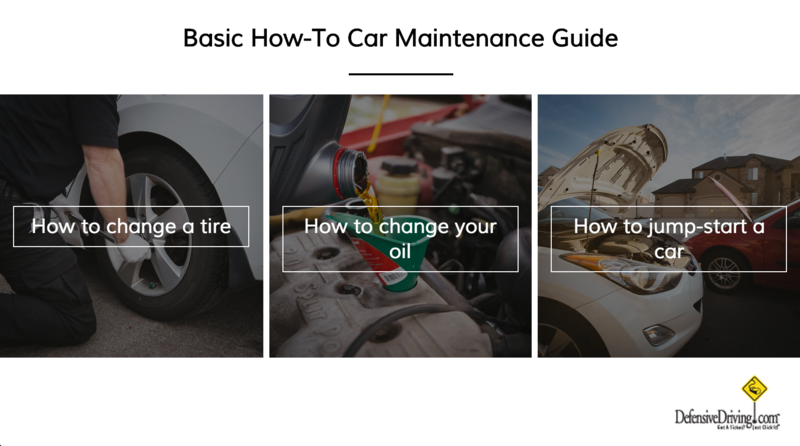 That is why we have put together this useful car maintenance guide. In it, we have included step by step tips for changing a tire, changing your oil, and jump-starting a car. The best thing about this guide is that you can save it as a bookmark on your desktop or phone and easily jump to it when the need arises. Check it out by following this link, or clicking on the image above, and don’t forget to bookmark it for later! Also, don’t forget to enter for a chance to win an Apple TV, and to like us on Facebook!